Where in the World? On a Hayride! Sometimes traveling with kids is a real challenge. 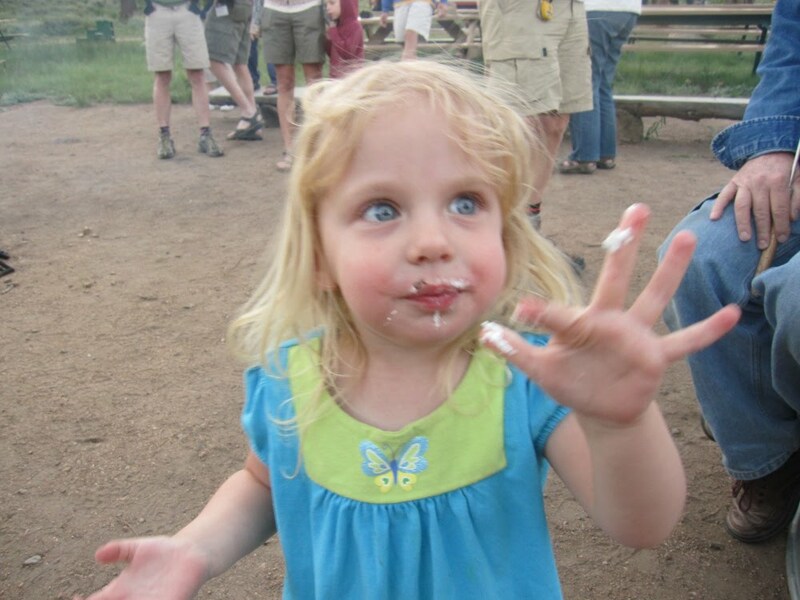 The missed nap times, the resulting meltdowns, the whining, the identical kids’ menus at every single restaurant…. 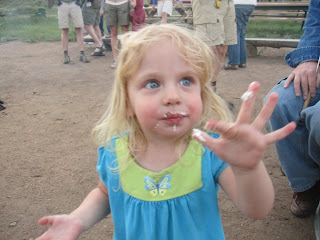 I wouldn’t call traveling with kids easy, but I’ve found that the fun times outweigh the negatives. And sometimes, the things that you do “for the kids” really turn out to be a lot of fun for the parents, too! 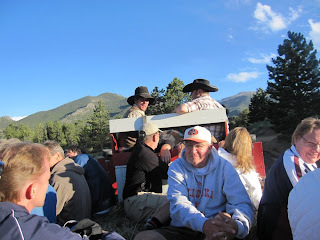 We took an authentic hayride in the mountains, with “real” cowboys driving the horses. 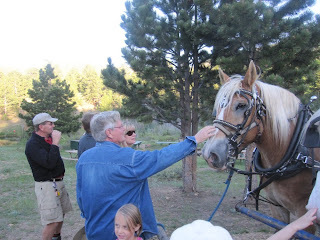 My dad came along, and couldn’t get enough of the Belgians pulling our wagon. 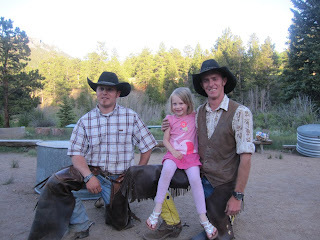 Lily loved the yellow cowboy boots and fringed chaps one cowboy wore. While Emmy wouldn’t let the other cowboy hold her on his knee for our picture, she did eat plenty of roasted marshmallows! That night, it took a little while for the girls to calm down and go to sleep! Where in the World are YOU? Link up your posts below! 8 Responses to Where in the World? On a Hayride! Looks like so much fun. Love those yellow boots too! This looks a lot like a family vacation we took years ago when I was in high school…it's one of my favorite memories:) Oh, and the girls jumping on the bed?? Priceless! Cowboys AND roasted marshmallows?! It sounds like heaven. This is just great!!! What wonderful memories for all. It looks like they had a lot of fun. I think it is great that your Dad was able to go with you. Now that looks like a fun time! What could be better than cowboys and marshmallows? I have always wanted to go on a hayride! Now that is really cool. I've only ever been pulled by a tractor and it really does kinda take away the magic.